There are many reasons why to rent a cargo van from Top Rent A Car. 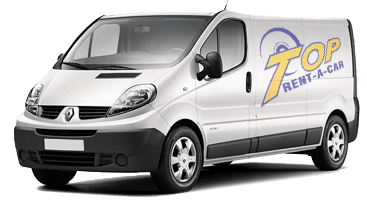 We can offer you few cargo van and light commercial vehicle classes which can satisfy your business needs. If you are still wondering between cargo van rental and new cargo van, please read the content bellow. The maintenance of a cargo van fleet is on the top of the list of expenses. The old cargo vans and LCVs are cheaper, but the monthly maintenance cost is higher. 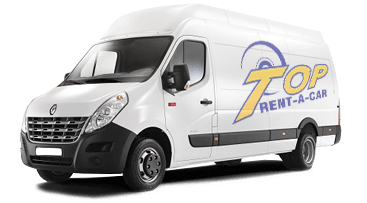 Renting a new cargo van, you can always relay on perfect technical conditions and don't have to worry about unexpected costs. Another advantage is that you can plan your budget more accurate! Choosing new cargo van or LCV rental from Top Rent A Car, you choose full package of services. Into the price are included full insurance and replacement vehicle if accident or technical issues occur. Unexpected technical issues may stop the working process and cause lots of expenses. Using cargo van rental service you don't have to worry about that. The only expenses that you should think about are those with the fuel. Technical issues may cause termination of the working process, lost profit and bad reputation! When calculating the rental price, the fuel consumption is one of the factors you should consider. Keep in mind that the older cargo vans which were driven more, have higher fuel consumption. Top Rent A Car offers new cargo vans with diesel engines. These engines are very economy and guarantee low fuel consumption. Do not neglect this factor! The old vehicles give bad reputation and are not trusted ones. According to a research, 2/3 of the customers believe that company's vehicle look is significant for their decision. 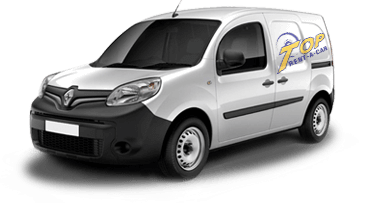 We guarantee new cargo vans in perfect technical conditions. No doubt, your customers will notice it. Satisfied customer is equal to a great reputation! Another reason to choose brand new cargo van rental is because of the less CO2 emissions. Thinking "green", your company will show its position about saving the nature. This is very important for the customers!